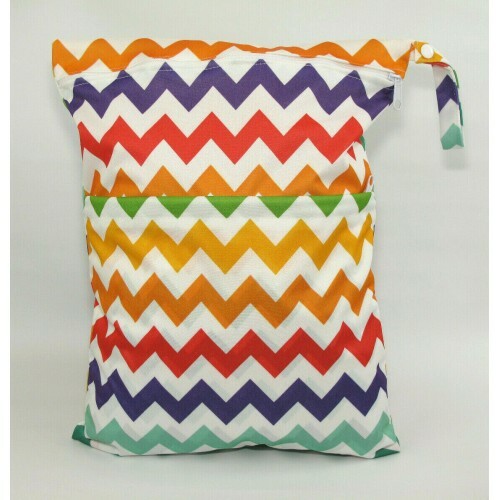 This very practical and colourful rainbow design wet bag is designed to hold reusable nappies, wipes, cloth sanitary pads and breast pads. 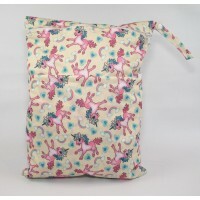 It can also be used for damp swimming clothes and sports kits. Two zipped compartments which allows both wet (used) and dry (unused) items to be stored separately. Plus a press studded handle to allow easy attachment. Material: Polyester outer with water resistant PUL lining. Machine washable and quick to dry. Approx Measurements: Length 40cm, Width 30cm. Very practical wet bag designed to hold reusable nappies, wipes, cloth sanitary pads (this zig zag..
We all need these pink unicorns in our lives! 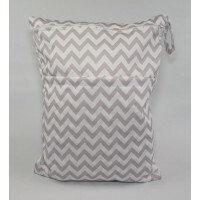 A very practical wet bag designed to hold reusable nap.. 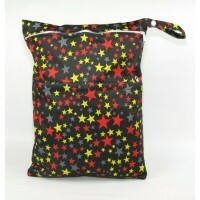 Very practical superstars design wet bag designed to hold reusable nappies, wipes, cloth sanitary ..